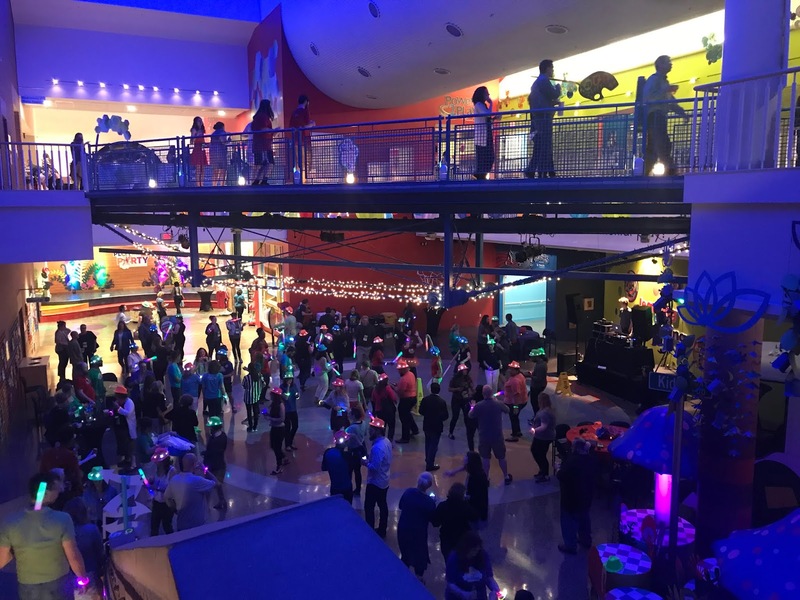 InterActivity, the annual meeting of Children's Museum professionals from around the world, was held recently in Raleigh NC. 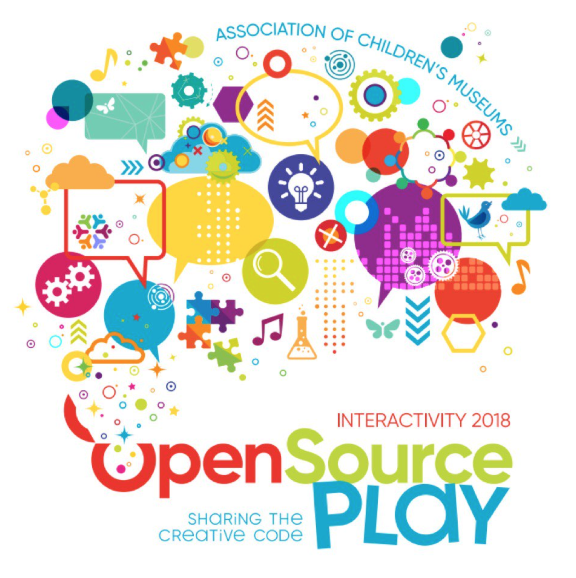 The Association of Children's Museums (ACM) did a great job with the local host, Marbles Kids Museum, of bringing forward the conference theme of "Open Source Play." I especially liked this theme because it reinforced the notion of "sharing" so common in the museum industry. 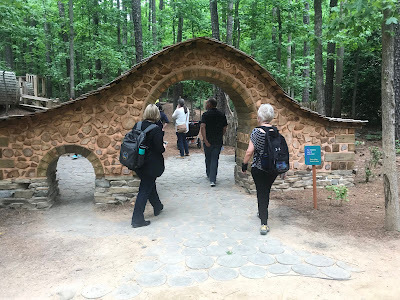 Tuesday, the traditional "Pre-Conference" day, started out strong with a great Study Tour of the outdoor areas of the Museum of Life + Science in Durham. 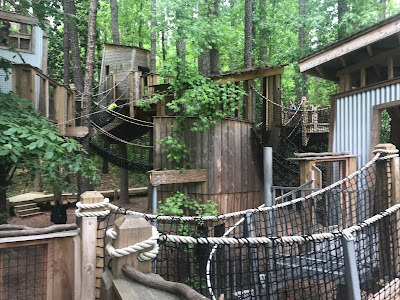 We spent most of our time in the multi-acre natural playscape called "Hideaway Woods." Treehouses and Bridges in "Hideaway Woods"
Staff member Tim Darr shared insights about the construction and operation of the treehouses, suspended walkways, and other completely charming outdoor exhibits. The outdoor areas limited content and instead gave people an opportunity to carefully observe and experience Nature with their bodies and their senses. Well worth a visit if you find yourself in Durham! Early Childhood area. Note "little" and "big" entrances. 2) PROTOTYPE! 3) Loop the Action. Wednesday concluded with a series of "Small Talks" primarily from representatives from Raleigh-area companies. I especially liked Anjana Mohanty's talk about specialty fabric producer Spoonflower and how they allow anyone to participate in the creative process AND the creative marketplace through their open source Spoonflower Shop. 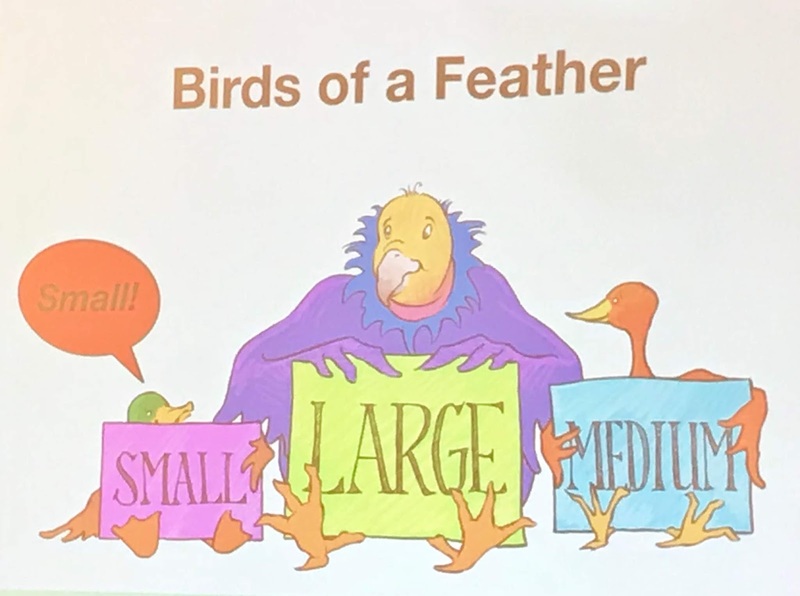 On Thursday morning, there were three simultaneous "Birds of a Feather" sessions for Small, Medium, and Large museums to share their experiences. InterActivity attendees were welcome to attend any of the sessions based on their own interests and their own institutional demographics. 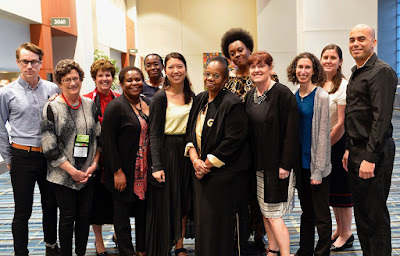 I thought this was a really interesting conference format and I appreciated the range of perspectives I encountered in the "Small Museums" section I attended. Each presenter chose three words that represented their museum and then gave a pictorial PowerPoint presentation that illustrated how those words reflected that particular museums engagement with their local communities. I liked that one of the words that Felipe Pena from the Children's Museum of Brownsville chose was "¡Fiesta!" I also admired how Kathy Parham, of The Children's Playhouse, partnered with a local coffee company to provide free coffee and tea to parents. When asked about whether providing warm beverages might discourage adults from interacting with their kids inside the museum, Kathy replied that she was more concerned about the parents' smartphones than mugs of coffee! I rounded out my Thursday conference sessions with "Kindness: An Approach to Professional Learning" and "Shark Tank" ! 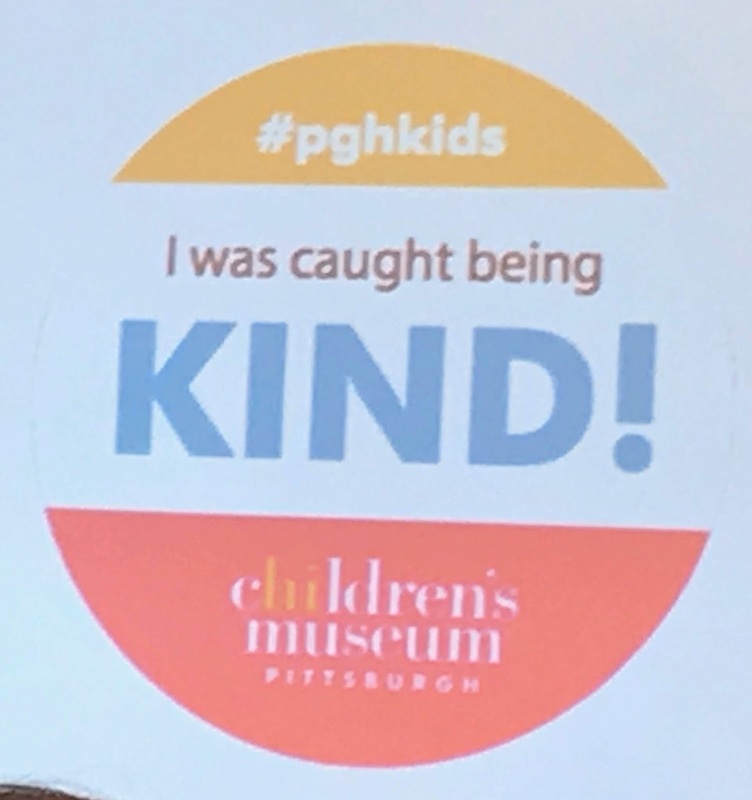 The Kindness session was led by an intrepid crew from the Children's Museum of Pittsburgh. The folks in Pittsburgh are currently engaged in a museum-wide professional learning initiative to use an evidence-based learning framework to support children and families' engagement in kindness as a learning process. That's quite a mouthful, but, in short, groups of session participants were asked to consider ways that kindness could be integrated into museum experiences for visitors, as well as self-care regimens for staff. 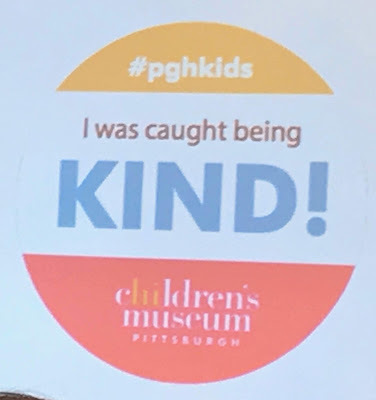 The folks from Pittsburgh shared a prototype activity where floor staff would "catch" visitors being kind and give them a "kindness sticker." 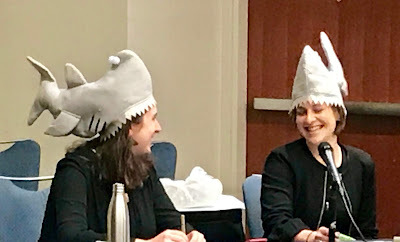 The "Shark Tank" session was a super fun evocation of the popular television show. First two presenters as "exhibit developers" made pitches for either a mechanical or a digital component to the "Sharks" representing the museum clients. Then session participants divided into small group teams to develop their own mechanical, digital, or "hybrid" exhibit pitches to pitch to the Sharks --- with the promise of a prize for the winning team. In a "surprise" twist, the museum client announced that, unfortunately, that particular exhibit component was "value engineered" out of the project budget so no team could be awarded a prize! Hats off to the presenters for their fun and thoughtful use of costumes, props, videos, and sound effects. Well done! Thursday night ended with the traditional Museum Party! The folks from Marbles did a great job with plenty of food, drinks, dancing, adult games, and FUN! Friday, the final day of InterActivity 2018, brought a great morning session on "Connecting Families to Complex Content in Museums." I appreciated that the presenting institutions represented a History Museum (St. Louis), an Art Museum (Denver), and a large Museum Center (Cincinnati) featuring a Children's Museum section. There were so many great examples of programs and actionable tips from a variety of perspectives that I may have to create a separate blog post about just this session! The Conference closed with the presentation of the ACM Great Friend to Kids Award ceremony. This year's award went to the Center on the Developing Child at Harvard University. Chief Knowledge Officer Al Race gave an inspiring (and interactive!) talk about the Center's work and its implications for Children's Museums. The entire audience joined in a karaoke version of "Brain Buildin' " set to Tom Petty's song "Free Fallin'"! With such a great InterActivity 2018 conference behind us, I'm really looking forward to InterActivity 2019 in Denver. See you there?